For the most experienced and knowledgeable Volkswagen repair in the Portland area, look no further than Trafton’s Foreign Auto. Our mechanics are factory trained and certified and can take on any Volkswagen model. 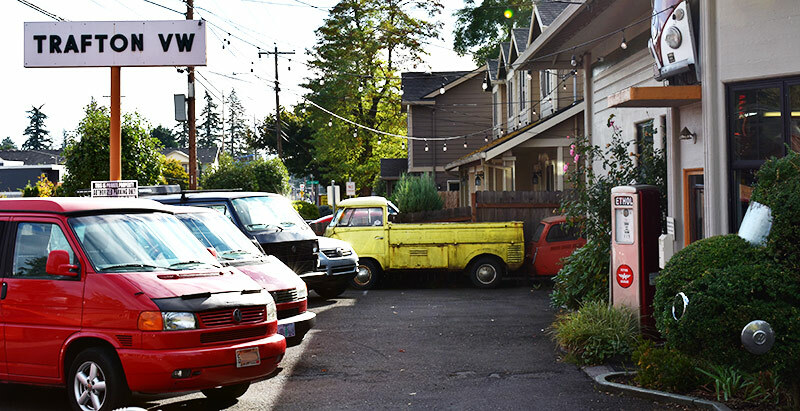 Since 1978, Trafton’s Foreign Auto has been the top name for Volkswagen repair in Portland. Our mechanics can perform maintenance, inspections, and even rebuilds for both early and new-model Volkswagen’s. Have a classic aircooled Volkswagen? Our mechanics specialize in all models and engine types! At Trafton’s Foreign Auto, we know how much you care about your Volkswagen and we know how big the Volkswagen culture is in Portland. Our factory trained and certified mechanics understand what it takes to care for your vehicle. That’s because they are Volkswagen enthusiasts, just like you are. Whether it’s a classic or a newer model, we can handle any repair with the highest level of customer service and care and get your Volkswagen back on the road in no time. As a full-service Volkswagen repair shop, we can take on any issue you come across with your vehicle. Trafton’s has separated themselves from other shops by providing high quality customer service as well as in-depth diagnosis. Some jobs are so difficult and require hard to find or expensive parts that some shops won’t do them without charging you an arm and a leg. Not at Trafton’s. Our mechanics fully understand what it takes to repair Volkswagen your and we can find any part needed. Whatever the issue is, big or small, Trafton’s Foreign Auto can handle it all! If you’re a collector of classic Volkswagen’s, make sure to visit Trafton’s Foreign Auto for a pre-sale inspection. We can give you a thorough walk through of the vehicle before you sign the papers. If the vehicle needs any repair, we can handle that as well. For the most reputable and trained Volkswagen repair in Portland, call Trafton’s Foreign Auto today!